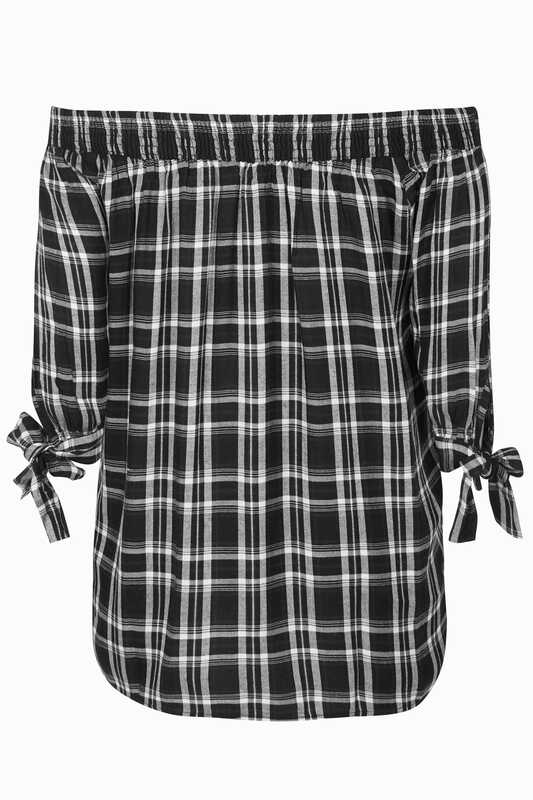 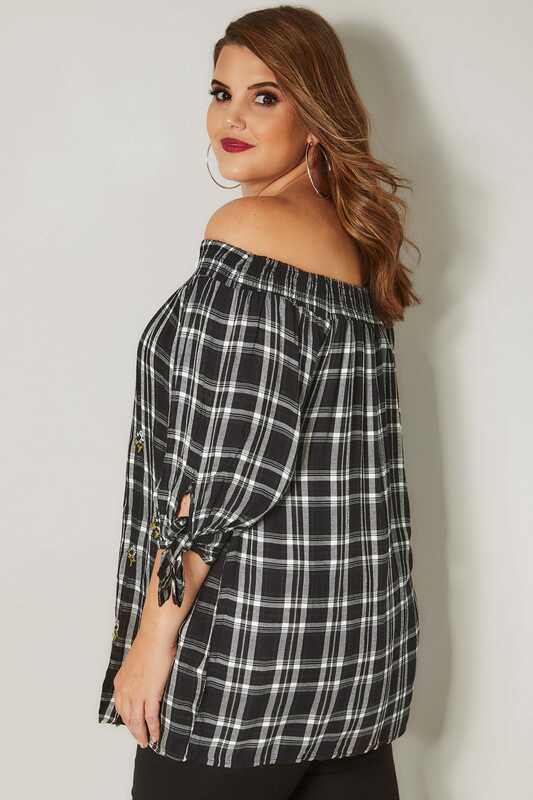 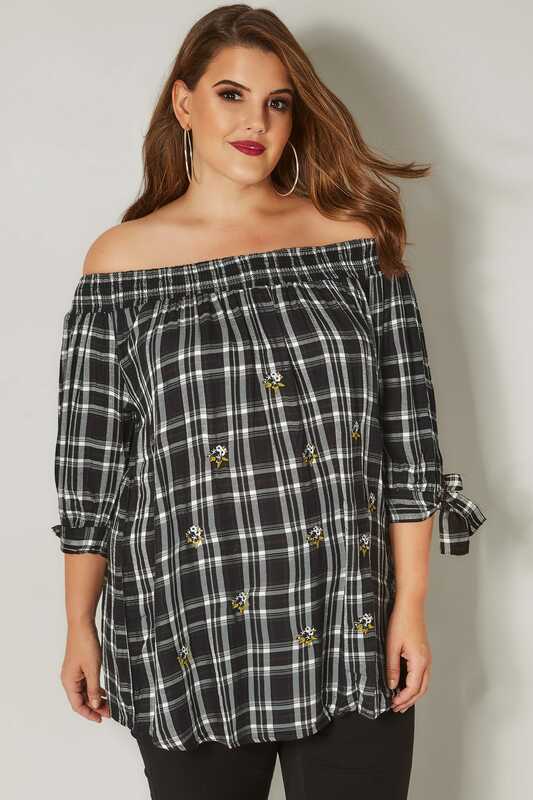 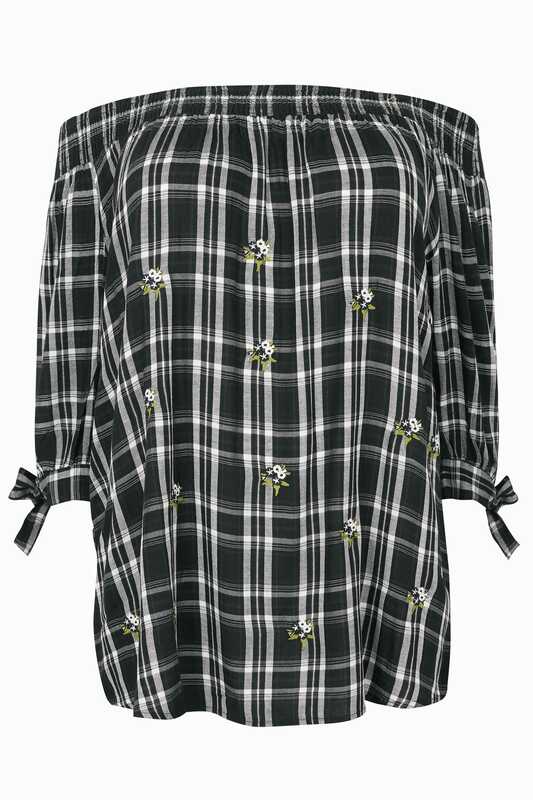 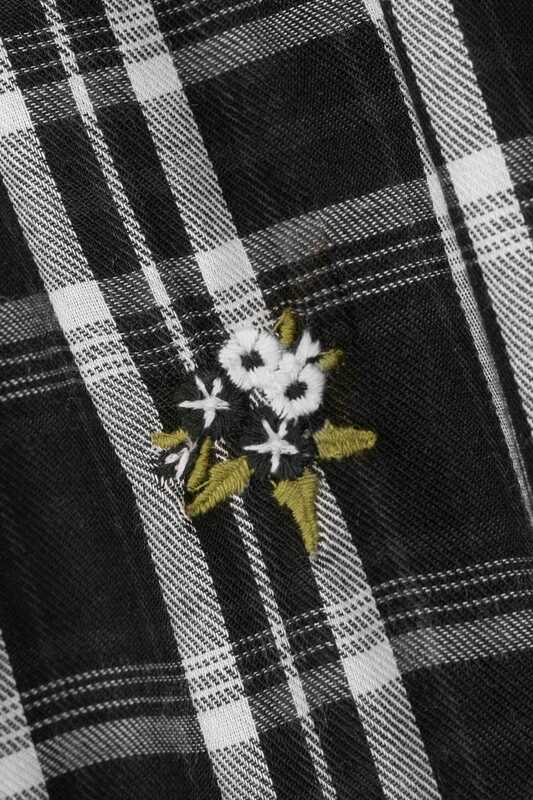 This chic Bardot top is totally on-trend this season with its floral embroidery and checkered design. 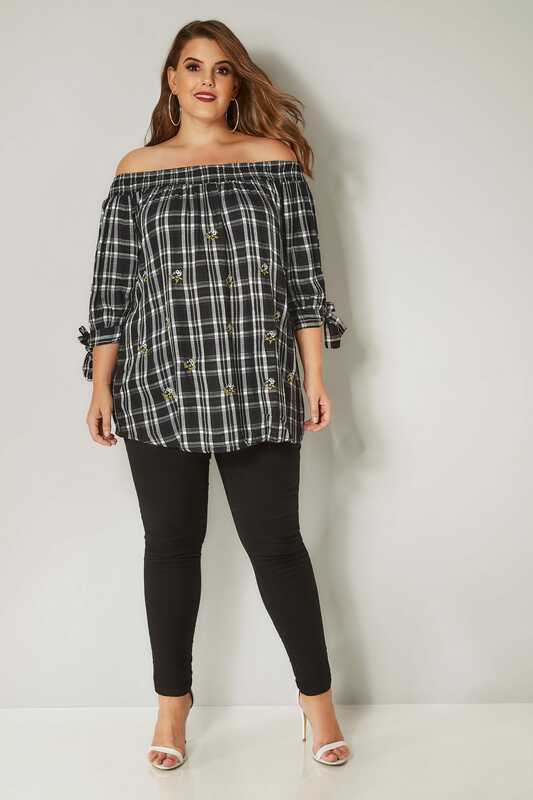 Team with skinny jeans and sandals for an effortless daytime look. 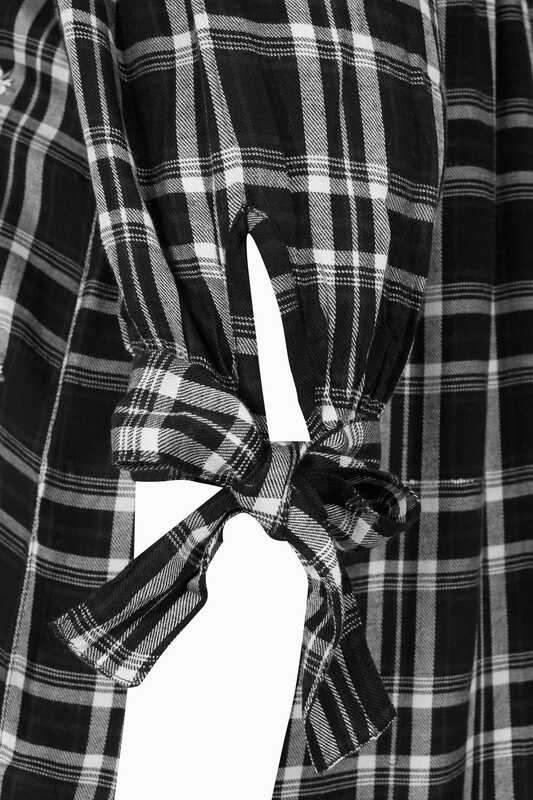 We love the tie cuff sleeves.